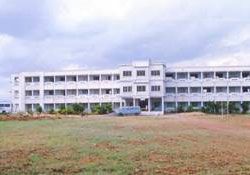 Mannai Narayanasamy School of Nursing is an institution started in the academic year 1999-2000 in the name and fond memory of Former Minister of Tamilnadu Late. Mannai. P. Narayanasamy with an annual intake of 20 students and it is duly approved by Govt. of Tamil Nadu health and family welfare (PME) dated 04-08-1998 and Nursing Council Order and INC Order No : 02 / March / 2006 dated 18-03-2006, New Delhi.